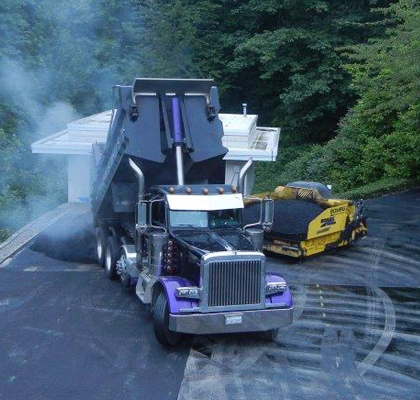 When it comes to Top Quality Asphalt Paving, Nobody Beats Roads! Roads Paving is a family owned and operated, third generation business with over 60 years of experience in the residential and commercial paving industry. We own and maintain a very large assortment of the latest state-of-the-art equipment and machinery operated by a highly skilled workforce. This combination of proper equipment and experienced crews ensures your driveway, cul-de-sac, sports court, parking lot or road has the proper grade and straight edges, with seamless, uniform thickness. Whether your driveway, parking lot or road needs a complete tear-out, overlay, seal coat, striping or pothole repair, you can be confident that Roads uses the best asphalt (or if preferred, reclaimed asphalt) for every job that we do. All of our work comes with a 1-Year Warranty! 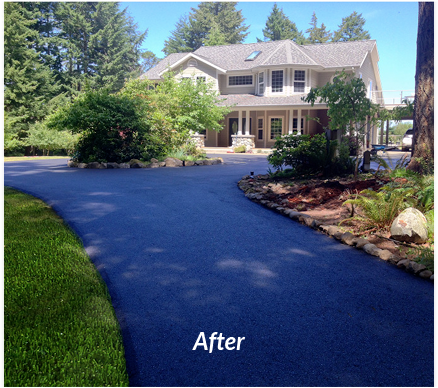 With Roads Paving resurfacing or repaving your driveway, you are guaranteed to have the proper grade, the proper run-off and the proper drainage to protect your home and driveway from heavy rains and water. Over 2 Million Sq.Ft. Paved and Sealcoated! What does that mean to you? Experience. When it comes to your driveway, you need a paving company that understands the engineering behind driveway paving. 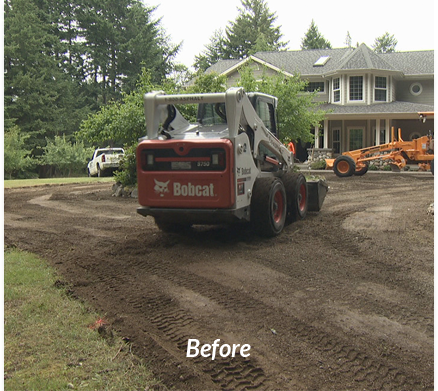 With Roads Paving in Washington, you get a team of asphalt engineers who can install a driveway with the proper grade and proper run-off so there is no puddling on the surface, no water running toward your home and years of use without cracks or chips. We’re trusted by BNSF Railroads, you can trust us too! Asphalt is the #1 recycled material in the country and is ideal for long driveways, private drives and industrial parking lots for several reasons. Ground up asphalt contains oil; this provides a virtually dust-free application when compared to gravel. 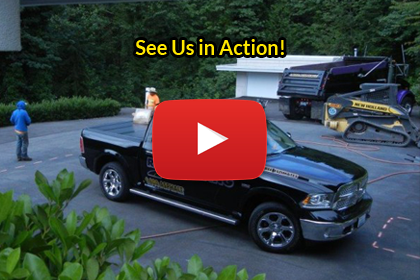 As Washington’s premier provider of recycled asphalt, we are minimizing the impact on our environment. We are conserving our natural resources with a lower consumption of energy for construction, and a low emission of greenhouse gasses. Roads Paving offers a better paving solution. We believe in supporting our community. All of our equipment, materials and employees come from Washington. We proudly donate to and sponsor local groups and activities for groups such as the Kent School District sports teams and the King County Fire Department.